These days, stress is so common it’s often seen as “normal.” Since it’s unlikely that we can eliminate stress in our lives, improving our ability to withstand and accommodate it is important for our health. There’s good stress and bad stress. Emotional stress is one of the most common, yet overlooked types of negative stress. Physical Stress – Repetitive motions (painting the ceiling), postural distortions (falling asleep with your neck twisted) and whiplash injuries from a car accident are physical stresses. So are slips and falls. Even a difficult birth or learning to walk. 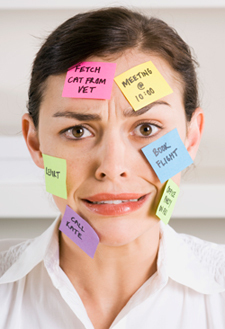 Emotional Stress – Ever face an impossible deadline at work? Or grieved the loss of a loved one? Notice the posture of someone who is depressed. Anger, or a sense of hopelessness, are common forms of emotional stress that may affect the spine. Chemical Stress – Today’s environment constantly assaults us with chemicals. Drugs, preservatives, tobacco, alcohol, pollen, pet dander, detergents, fabric softeners and a host of other substances that can affect our nervous system and muscle tone. Stress produces a reaction in your body. Besides increased levels of stress hormones, the fight or flight response may produce spinal joint dysfunction. Think of it as your body’s circuit breaker. When you’re ready to take action, ring us at Weber Chiropractic to arrange your first visit: (512) 365-2225.